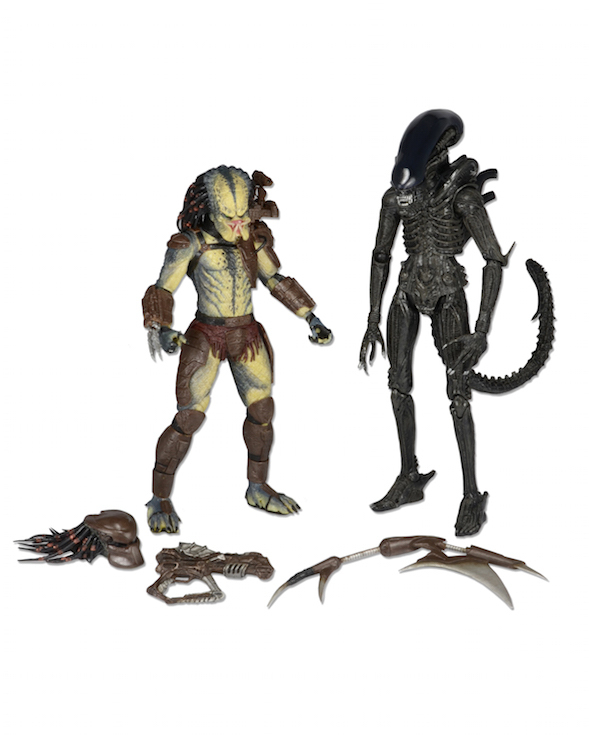 You are here: NECAOnline.com » Licenses » Movies » Alien » Toys R Us Exclusive: Pre-Order Alien vs Predator Action Figure 2-Pack with Mini Comic! After revealing the first Toys R Us Exclusive yesterday (Anteverse Gipsy Danger if you missed it), we’ve got a second! The Alien vs. Predator 2-pack is a tribute to the Kenner original pairing, and even comes with a mini-comic reproduction of the original Dark Horse comic book. Check out all the details below!